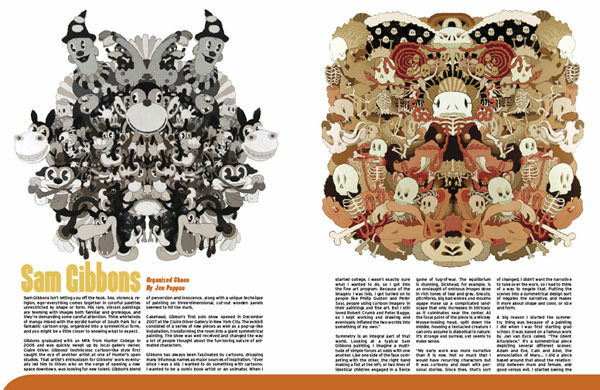 Hi-Fructose Vol.9 cover features the art of Sam Gibbons. 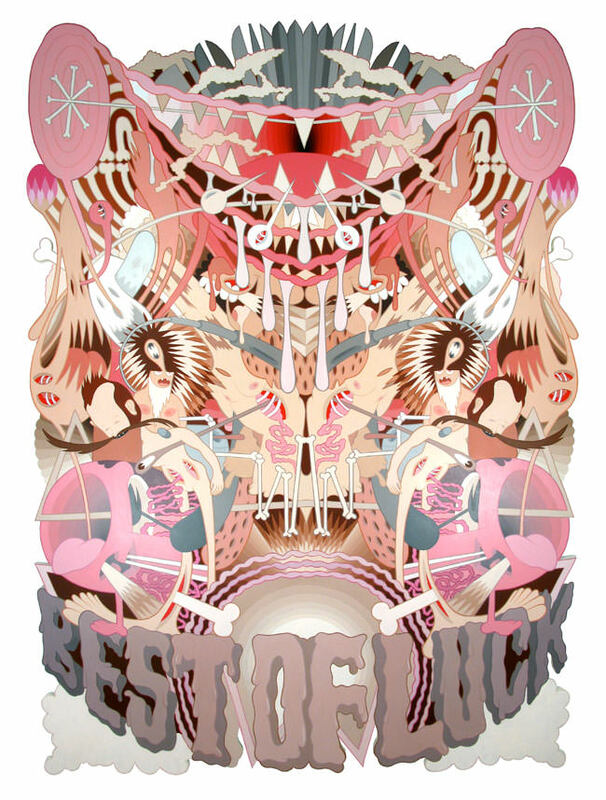 Seen here is another example of his hypnotic paintings on scroll sawed wooden cut-outs entitled Best of Luck. Sam mixes clouds of classic golden age cartoon references, puncture points and gaping wounds into a kaleidoscopic slaughter. Be sure to read Jennifer Pappas’ article on him in Vol.9, now available for pre-order.